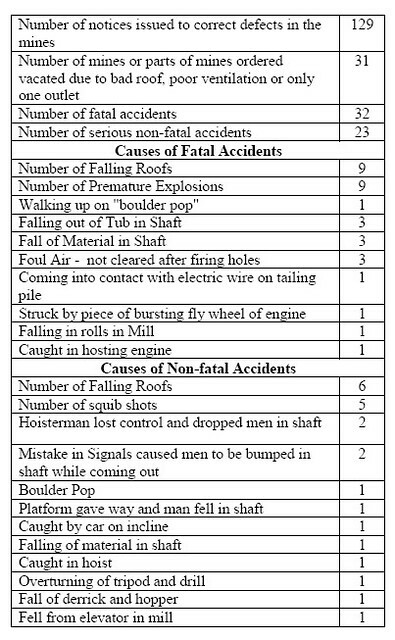 Having had numerous ancestors who mined the areas of southwest MO and southeast KS, I am aware that several of those lost their life due to falling rocks or equipment failures (such as when the “bucket” would drop inappropriately). I am also aware of those who were maimed due to dynamite accidents followed by not necessarily the greatest medical attention. 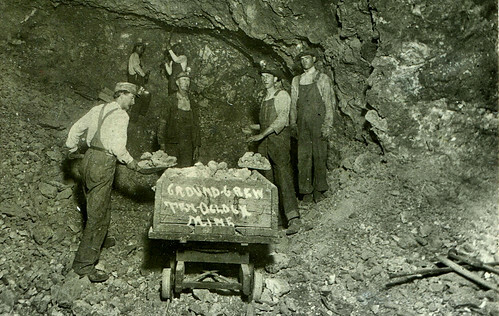 However, after researching the lives of various ancestors,foremost in my mind is the fact that even if they survived accidents at the mine, there was an extremely increased likelihood that they would die of some form of lung disease. Many death certificates of my ancestors denote “miner’s consumption” and/or tuberculosis as the cause of death. Pulmonary disease was indeed one of the killers of Joplin miners (and miners elsewhere). A groundbreaking study was actually performed in Joplin on the matter of pulmonary disease around 1915 and was the first to raise the alarm of the dangers of working in the mine for the lungs.